There are many careers in aviation. Some of these take place behind the scenes, making sure the luggage is on board, the plane’s engines are running smoothly, and the airplane is scheduled for takeoff. However, the most well-known careers are those of pilots and flight attendants. The roles are extremely different in their education, job duties, and salary. Both the pilot and flight attendant are responsible for ensuring passengers get to their destination safely. Pilots are trained professionals who understand the rules of the clouds and soaring through them. Working with a multitude of aircrafts, such as airplanes and helicopters, pilots are responsible for safely flying from one destination to another. They work in airline or commercial settings, performing rescue operations, flying charter flights, or simply carrying cargo or passengers from one destination to the next. Airline and commercial pilots fly and navigate airplanes, helicopters, and other aircraft by operating the plane’s engines and controls. Airline pilots fly for airlines that transport people and cargo on a fixed schedule. Commercial pilots fly aircraft for reasons such as rescues, firefighting, chartered flights, aerial photography, and applying agricultural materials to crops. Inspect the plane prior to taking off. Check the plane’s balance and weight. Deliver flight plans to air traffic control. While in flight, keep in contact with air traffic control. Make sure all systems are in check during flight. Be able to roll with changes in the weather. Navigate the aircraft using the available equipment. A plane is a large complicated piece of equipment with lots of moving parts to learn. If you want to become a pilot, follow these steps until you reach your desired level of accomplishment. And in detail, here is how you start your career. You need your high school diploma. To get your commercial pilot’s license from the Federal Aviation Administration (FAA), you must be at least 18 years old and complete a certain number of hours of flight training. To become a commercial pilot, you’ll head to flight school. These pilot programs can sometimes be found at community colleges or trade schools. There are also independent, FAA-certified educators teaching out of aviation-only schools. Typically, 250 hours of flight time and 1,500 hours of ground school are required, which you will keep detailed record of in a flight book. You’ll need to start out as a commercial pilot before becoming an airline pilot. The minimum flight hours for many commercial positions is 500. Many commercial pilots begin their careers as flight instructors or charter pilots in order to gain more experience and instrument ratings. You need a bachelor’s degree but in no particular subject. If you’re an airline pilot, the Airline Transport Pilot certificate is a necessity. To get a job with a major airline, you will need to have thousands of flight hours on record. There are hundreds of FAA-approved flight schools, as well as other two- or four-year programs, available. The Federal Aviation Regulations are stringent rules about pilot training. You must attend a ground training program lasting 6-8 weeks. Aside from training and licensing regulations, you’ll also need to practice and maintain certain maneuvers, which will be tested a few times per year. Instrument ratings are another factor if you want to fly through clouds or conditions with limited visibility, or to carry passengers over 50 miles during the night. You must have at least 40 hours of instrument flight experience plus 50 hours of cross-country flight time as pilot in command. Once you have gotten enough flying hours, you can apply to jobs, whether commercial or airline. Expect to have to take a physical, psychological and aptitude tests, and drug tests when applying to any airline company. The main factor for advancing in this career is seniority. However, you can become a captain by getting your air transport pilot’s license, which shows cross-country, night, and instrument flying experience. This requires passing additional FAA written and practical exams. You can also acquire more flight ratings, which correspond to the types of aircrafts you can fly. When you’re just starting out as a pilot, you’ll be earning around $20K annually. As you gain experience and build seniority, your pay increases. As a commercial pilot, you’ll see an annual median salary of over $78K. Once you’ve been a full-fledged commercial pilot for a while, your salary could reach $152K per year. As an airline pilot, your salary depends on whether you work for a regional or major airline. The median annual salary will be $137K per year, and you could make over $208K. You’ll also get an expense allowance based on every hour you’re away from home. You could make more with international flights. An added bonus is the free or discounted travel you and your family members will receive. You also don’t have to worry about paying for food or accommodations when you are scheduled for overnights and layovers—the airline picks up that tab for you. Both airline and commercial pilot jobs will see little to no employment growth through 2026. Most of the job openings will be due to the older pilots retiring at 65 years old. So, expect extremely strong competition for the expected 4,400 jobs that will be available over the course of the next few years. The pilots get passengers safely to their destinations, but it’s you, a flight attendant, who makes sure that the guests are comfortable during the flight. It doesn’t matter the length of the flight: You are very busy seeing to the inflight guests’ whims. Make sure seat belts are on properly. Check that carry-on baggage is safely stored in the overhead compartments. Pass out food and drinks. Monitor passengers, watching for suspicious or offensive behavior. Provide very basic emergency care. Meet with the crew prior to the flight to discuss expected issues. To become a flight attendant, you won’t need to go through years of school in order to achieve a rewarding career. If you just know that being a flight attendant is a fitting career for you, here’s what you’ll need to do. Many employers prefer a college education and degree. However, it’s not completely necessary. Go through a flight attendant certificate program where you’ll be trained in first aid and safety, emergency procedures, aircraft design, crew resource management, and standard airline operations. Be prepared, because you’re going to be taking quite a few tests, both written and hands-on, which you’ll need to pass in order to receive your proficiency certification from the Federal Aviation Administration. You must be certified to work on a specific type of plane. Yearly training is expected if you want to maintain your certification. You’ll have 3-6 weeks of additional training, but it’s specific to the airline that hired you. To begin your job, you must successfully complete this training program. After the initial training, you will receive the FAA Certificate of Demonstrated Proficiency. From there, you’ll be placed on call or in reserve status. You must be able to report to the airport on short notice to fill in. This status will last one year. Once this reserve status period is complete, you will be on monthly assignments. The more preferred routes go to the more experienced, more senior flight attendants. Career advancement is based on seniority. The longer you’re with the airline, the higher up in ranking you will go. Not only will you receive perks such as free or discounted travel, you will also be earning a good salary. The median annual salary for flight attendants is over $50K. The more seniority you have, the higher your salary will be, with the top ten percent earning more than $79K. You’ll be spending 75-100 hours per month in the air and an additional 50 hours on the ground. Flight attendant careers are expected to grow 10 percent through 2026. This is faster than the average for other occupations. There will be many more applicants than available positions, so expect a large amount of competition once you enter the job market. The road to a career in aviation is long, especially for pilots. While you can complete a bachelor’s degree online, the rest of your schooling must be completed in person. Aspiring pilots are required to complete a certain amount of flight time in order to obtain licensure. 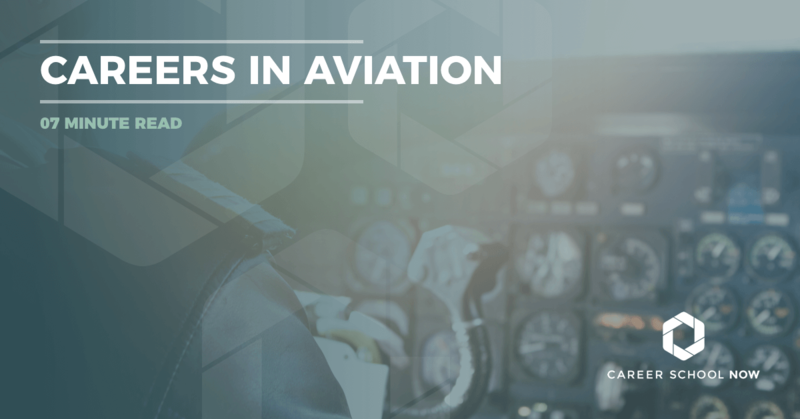 In addition to 250 hours of flight time, airline pilots must obtain 1,500 hours for a transport pilot certificate and 40 hours of instrument flying experience in-air and through simulation. Some college experience in the online form may give flight attendants an advantage when it comes to finding a job. However, online flight attendant programs are not available from accredited colleges, due to the hands-on nature of the training and the heavy emphasis on customer service. Find an online aviation course.